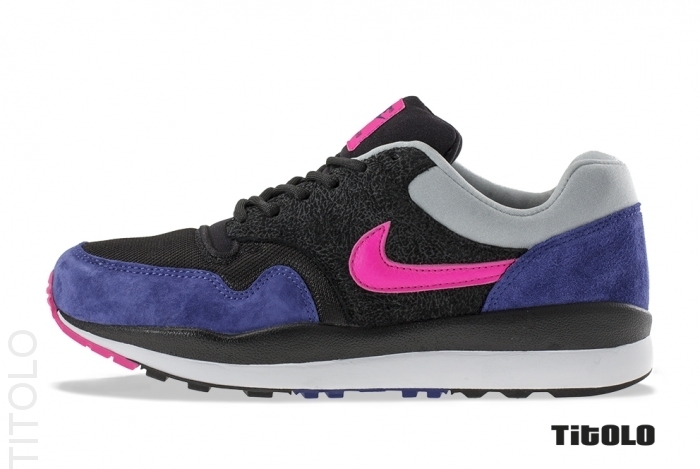 The iconic Nike Air Safari arrives this week in a solid new colorway. 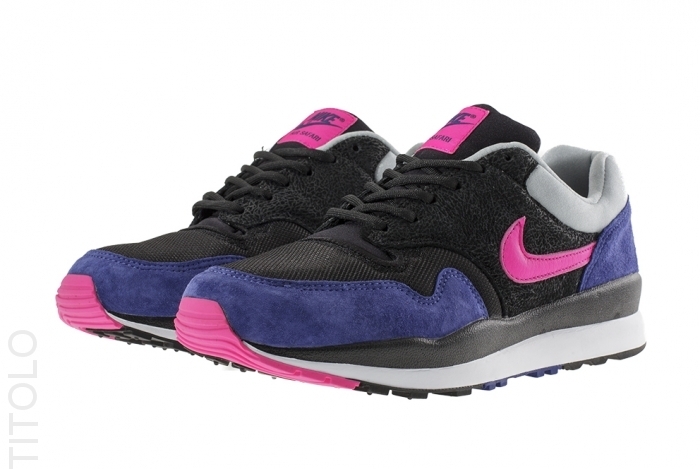 The iconic Nike Air Safari arrives this week in a new Black / Pink Foil / Deep Royal Blue / Silver colorway, adding to an already strong year for the retro model. While most Air Safari colorways feature the Safari print on the toe and heel, this new version switches things up, using only a tonal, textured midfoot overlay. 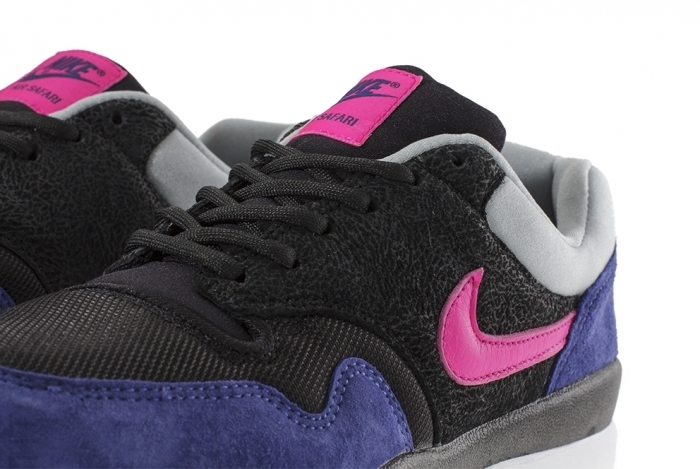 Solid royal blue suede bookends the sneaker's black mesh base, complimented by pink and silver accents. 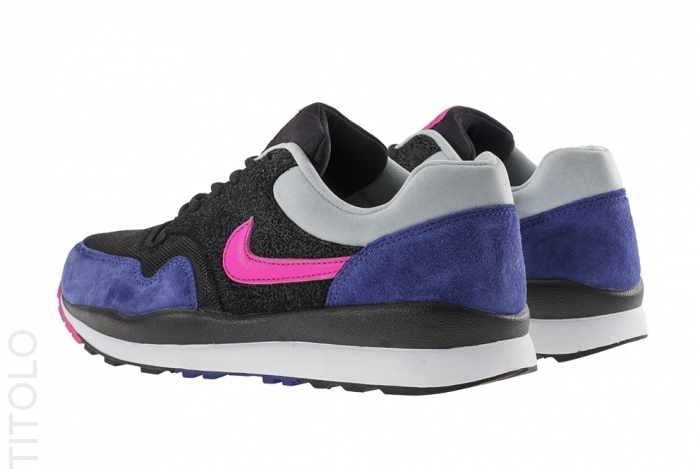 The Nike Air Safari in Black / Pink Foil / Deep Royal Blue / Silver is available now at Titolo.